Another day in Amble Bay. How is your general knowledge? What is there to do in Québec City? Find out in today's post! A post about Quipu an ancient alternative to language. Where did Queen Victoria's stockings come from and are they the genuine article? Find out in "Fact or Fiction-Family Stories". Q is for quandary - of course. 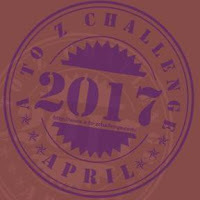 Click here for Chapter Q of my A to Z Choose Your Own Adventure (AC)! Comment to vote for the next choice and come back tomorrow for the reveal of the next installment in the novel: Runaway! Queen Esther made a choice that saved her people. Read about that choice in today's post! While Q tends to be one of the harder letters to fill on an A to Z list, astronomers have no problems! Q is for Quasar, the biggest "Look at me!" sign in the Universe. Do all questions have answers? Yes....no...may be! Tease your brain with some questions that puzzled MocktailMommy. What happens when you find that perfect cafe on your travels? Q for Quiet. Not in my house! Some of my favorite quotes today. Happy A to Z day folks. Q? - A Maine vanity plate and a poem - almost Q. Writing got you down? Come laugh about it! Ever taken the quote challenge? Black & White snippets - a collection of short scenes featuring characters, places and concepts from my forthcoming YA dystopian trilogy. A citizen isn't too happy with a change in government. How would you feel if a old home where you lived and laughed is about to be torn down? Hi everyone - I'll be Questing through the Qs today ..
OK, I[m more than half asleep, but I'm here early enough to be in the first 100 posters! Quiz! Are You're Cut Out For Self-Publishing? Letter Q: Quail & Quidditch. Yes... completely unrelated concepts. 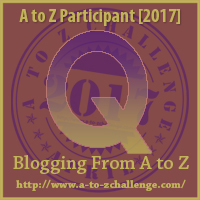 Q is for Queen The latest part in the ongoing A to Z crime thriller. Today on my A-Z of my Favourite Things, Q is for Queen - the band not the monarch. Quick, come over to Curious as a Cathy for today's Art Sketching Through the Alphabet illustration, the Evil QUEEN from a classic children's fairy tale. Happy A2Zjing! The quickening (awakening) of Faerie showed in a short story. Question: do you question things enough? Six-pack abs can be also be achieved easily by women. Female abs are possible through some activities and exercises. Now is the time you start having those abs. Q IS FOR QUICK TO JUDGE! The other type of Insomnia is noticed particularly in person taking frequent journeys. Your journey may have different The Great Brain Secret Reviews time zones as such it becomes very difficult for you to adjust yourself with the changed sleeping habits. Your body is accustomed to a particular time schedule for sleep. Whenever there is change in this schedule you may experience symptom of sleeplessness. This cause is also applicable to people working in shifts.In another type of sleep disorder symptoms, person responds physically to the events he has seen in dreams. Violent behavior during sleep, nightmares and sleepwalking are examples of such responses.You may experience other symptoms like awaking in night due to unpleasant sensations. This sensation occurs due to flowing of acids upwards from stomach. This condition is termed as gastro-esophageal reflex. Insomnia can be also caused by some other factors like dietary allergy, emotional upheaval, side effects of medications, physical or mental stress, depression etc. Early detection of causes will help your doctor in deciding line of treatment and provide you early relief from Insomnia.Treatment of InsomniaSleeping medicines/sedatives can provide you required amount of sleep and help you in getting relief from Insomnia. You can also try herbal medicines such as chamomile, hops, valerian and lavender. Marijuana The Great Brain Secret Reviews plant (scientifically known as cannabis sativa) also gives good results in inducing sleep. However, this herbal medicine, cannabis sativa, has been banned by many governments for use in treating Insomnia. Q is for Quinn in my LEGO theme post of the day! More inspiration from nature. A weed I love. My short story is based on the English translation! Today's six sentence story asks a Question. I accept my QUIRKS as part of my personality. How the Quartets of Season Avatars work. Today's What if...? involves a new way of speaking: What if you could only speak using questions? Susan discusses a couple of Anna Quindlen's books at Girl Who Reads. We all know Q represents a challenge. Today I cop-out and share a few motivational quotations :) Check them out. Want some quick and fun puzzles, with a science fiction/fantasy bent? Stop by and check them out at WordWacker. Q is all about Quidditch! Celebrating 'Women & their work' all April @NamySaysSo Queen of Tennis, Serena Williams, wins grand slam while pregnant! Here is a link to my post for Q from my blog Weekends in Maine. Thanks for visiting! Q is for (Mainely) Quilling | I am in awe of these amazing paper creations. Post: Q is for “Quitting.” Life’s too short to read boring books. Choose the right word for your disagreement! Q is for Quilts and Quotes on my journey through the alphabet of my creative life. A lot of craziness goes on, it's nice at least someone gets a break now and then. If you think about it, aren't we all kinda on one right now? When the earth trembles--surviving a Quake in La Yacata. Don't Quit coz to win you are fit! At Talking It Out today, we're tackling LGBTQ+ issues with Queer. Today on Sciency Words: A to Z, what's so quantum about quantum mechanics? Blogging about novels for young adults. Today we have Q is for Quick-witted. My theme is mostly made up holidays. Today's holiday is ""Quintuple Day"
The next instalment. (continuous story staring with A). Wrote about my experiences in Queues, especially in India. DB McNicol | Oh, the places we will go! | Quartzsite & ??? Today's #AtoZChallenge in China: Qing Dynasty railway station that’s soon to be demolished by the government. Q is for Queens of Myth! The other day I overheard a conversation. The girl informed me she had to have a Quinceanera and Sweet Sixteen for reasons. I can't make this stuff up. At Laws of Gravity. My short story today is from the POV of a young bookworm. Q is for Queer.